The New York Times reports that the number of applicants for Social Security Disability Insurance (SSDI) has fallen even faster since 2015 than the Social Security Administration (SSA) expected. Disability applications and benefit awards have been decreasing for nearly a decade. The shift is significant, and it is good news for SSDI’s finances. SSDI applications and awards have fallen by over 25 percent since 2010, while the number of beneficiaries has dropped by over 600,000 over the past four years. The SSA’s trustees estimate that the share of Americans receiving SSDI will remain consistent over the next 20 years. The SSA’s actuaries and other experts previously predicted this downward trend. Though the number of beneficiaries grew for most of SSDI’s history, the increase mostly reflected demographic factors: the population increased; baby boomers aged into late middle age, when the odds of becoming disabled rise sharply; and more women joined the workforce, paid into Social Security, and earned coverage. Meanwhile, the rise in Social Security’s retirement age to 66 means that workers who become disabled remain in SSDI longer before switching into retirement benefits. The receipt of SSDI benefits, as well as program costs, have since fallen as demographic and economic pressures eased. As more boomers reach retirement, the number of workers receiving SSDI declined. Men and women now qualify for benefits in nearly equal numbers. Likewise, SSDI applications fell significantly as the economy and job market recovered. In the last few years, SSDI applications and awards have fallen even faster than predicted. The SSA’s actuaries note that the drop in the number of beneficiaries has been steeper than in past economic recoveries, and they are trying to understand why. One factor is SSA budget cuts, which forced field office closures that led to “large and persistent reductions” in the number of disability beneficiaries. The cuts also contributed to a record-breaking backlog in disability appeals, which may deter many applicants. Another factor is falling allowance rates for disability appeals. The trustees have been cautious in interpreting short-term trends, and they assume that the declines will taper off in the next several years. SSDI’s financial outlook has improved significantly as a result of declining enrollment. As the program shrank, its costs fell as a share of taxable payroll, and that share is expected to remain stable over the long term. A recent Social Security trustees’ report projected that SSDI’s trust fund will remain fully funded through 2032 — a full decade later than the 2022 date that the trustees projected three years ago. SSDI’s financial improvement also means that policymakers have time to develop a comprehensive plan to address Social Security’s long-term funding shortfall before the combined reserves for the retirement and disability programs are depleted in 2034 — that is, a plan that protects the millions of workers who rely on earned disability benefits when they become too sick or hurt to work and support their families. Each year the Social Security Administration (SSA) will determine whether they can increase monthly Social Security Disability and Supplemental Security Income benefits for disabled Americans based on an increased cost of living. This is known as the Cost of Living Adjustment (COLA). Earlier this month, SSA stated in their blog that more than 67 million Americans will see a 2.8 percent increase in their Social Security Disability and Supplemental Security Income benefits in 2019 to account for the increased cost of living. SSA will begin posting individual notices detailing a beneficiary’s new benefit amount in December of 2018 for those who have a my Social Security account. COLA notices will also be mailed to the individual beneficiaries. 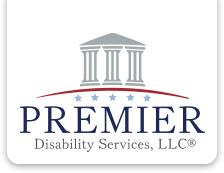 The Social Security Administration (“SSA”) will hold a National Disability Forum on October 30, 2018, at the Capitol Visitor Center in Washington, D.C. The topic of this forum will be “Advance Designation of Representative Payees.” The morning session of the forum will have panelists discussing how advance designation can improve future financial management. The afternoon session will feature panelists sharing how to leverage advance designation to improve the Representative Payee selection process. The SSA’s Representative Payment Program provides benefit payment management for beneficiaries who are incapable of managing their Social Security or Supplemental Security Income (SSI) payments. The SSA appoints a suitable representative payee (payee) who manages the payments on behalf of the beneficiaries. Generally, the SSA will look for family or friends to serve as payees. When friends or family members are not able to serve as payees, the SSA will look for qualified organizations. If you are concerned that someone you know becomes incapable of managing or directing the management of his or her benefits, please call the SSA at 1-800-772-1213 (TTY 1-800-325-0778) to request an appointment to discuss your concerns.